Your client might think writing is easy. After all, we all write just about every day, right? Notes to family members… emails to friends. We text and post, chat and jot things down. It’s all writing… and that’s why clients often decide to write their own website copy. But, writing effective website copy is different then jotting a note to a friend. And that’s why clients get stuck here… they don’t realize copywriting can quickly become a problem. Writing website copy takes longer than your client thinks. Even the most experienced writers freeze when it’s time to right their own website copy. Trust me… I write for a living and it takes me FOREVER to revise my own website messaging. Suddenly we can’t think of the right words… or we ramble on and on and on without making any kind of intelligent point. It happens to all of us. Overthink and confusion combined with the importance of the task create delays. If your client is like me, a little procrastination joins the party to further slow things down. Your client might believe she can write the copy in a weekend, but she’s wrong. Persuasive writing is likely not in your client’s skillset. Writing is one of the first things children learn in school. By seven or eight years old, we are writing short stories about our pets, our summer vacation, and the gifts we want for our birthday. But, for most of us, our persuasive writing experience is limited to notes designed to prompt our teenage son to clean his room. Your client knows the words on his website need to capture the imagination of prospective clients and persuade them to learn more about the products and services he provides. Lots of pressure for results, right? For someone without experience, this can be super frustrating. Your client is going to get stuck. Then you’ll both have a problem. Why does content create a huge bottleneck in most design businesses? 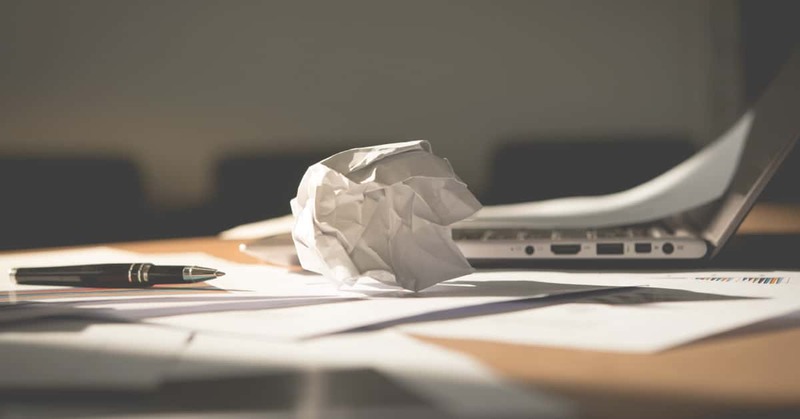 Clients believe they can write their own content… but somewhere in the process they get stuck. They start making excuses or asking questions. Things start to go sideways pretty quickly. They might suggest using antiquated copy from a previous site… and ask you to review it all and see what you can do to “make it fit” the new design. They may give some unfortunate person on their team the job of writing copy… the admin or sales person or bookkeeper… and then complain to you about delays. They might simply disappear and stop answering your calls and emails. Before you know it, your project is stalled. You can’t get started because they don’t have their content together or you can’t move forward and launch even though the design is done because the content just isn’t ready. Everyone’s unhappy… and the project is at risk. Want to solve this problem for your clients? Here’s how. Rather than viewing copywriting as a problem, you can see it as an opportunity to demonstrate your expertise to your clients. You can lead them through the process of generating content by intentionally helping them explore options. Include copywriting in your process by partnering with a copywriter you trust. Since completed content is an essential part of every web design project, consider adding content creation to your service list. Working with a strategic partner in this way can improve your client’s experience and elevate the quality of results they receive. Curate a list of copywriters you trust at various price points. Recommend that your client work with a copywriter and share the list of writers you trust. Build relationships with the writers on your list so that they understand your business and how to best serve your clients. Guide your clients through the writing process. Some clients are determined to do their own writing. You can help them by providing wireframes of common pages so they know what is required, and guidelines to help them understand the type of messaging they need to create. Content doesn’t have to be a bottleneck in your design business. 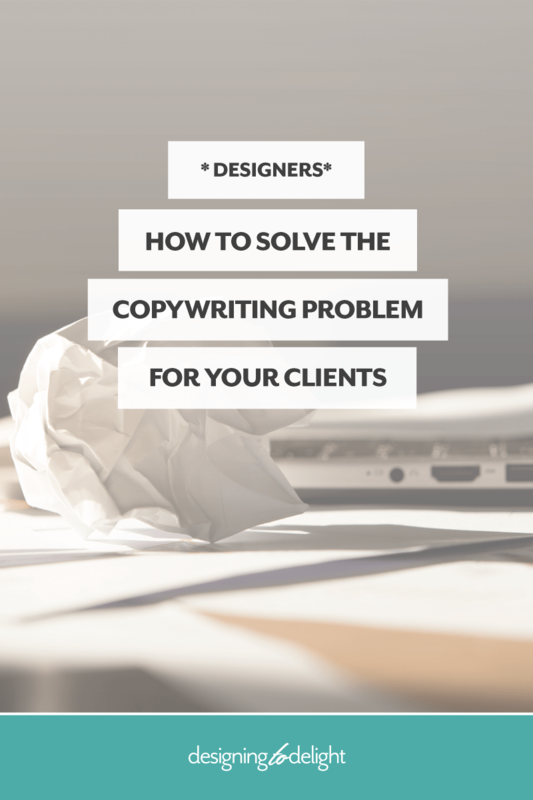 Rather than asking clients to solve the copywriting problem on their own, use your expertise to give them the guidance they need for success. Improved copy will elevate your brand as well as theirs. Besides, they’ll love you for it. Is copywriting a problem in your business? Share your challenges in the comments. I’d love to help! Michelle Hunter is a business strategist and copywriter with a gift for connecting entrepreneurs and their clients using great writing. 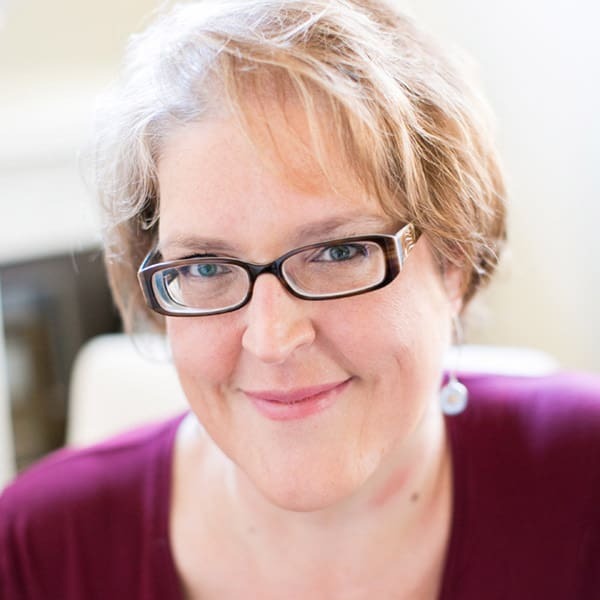 She is a regular contributer to the DtD blog and co-creator of Designing Success Bootcamp - Helping designers create a strong marketing engine to power business growth. Visit MichelleHunterCreative.com to contact Michelle or learn more.